There was a lot of important information on the U.S. economy released this week but the biggest data point is without a doubt the latest monthly job report from the Bureau of Labor Statistics (BLS) out this morning. 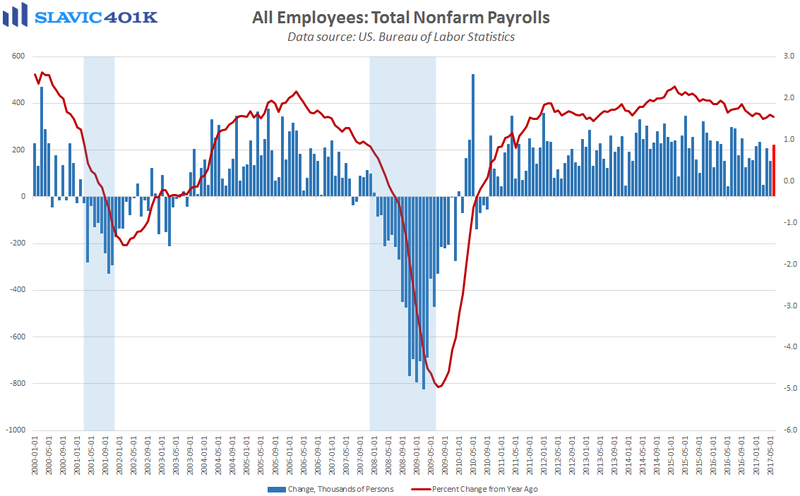 Indeed, total nonfarm employment in America rose by 222K payrolls in June, the 81st monthly gain in a row and much better than the 178K increase economists had expected. There were also sharp upward revisions to the April and May figures, which helped lift average payrolls growth during the past three months to +194K. That is the best reading since February and well above many Federal Reserve (Fed) officials’ estimates for what is needed to keep up with U.S. population growth. 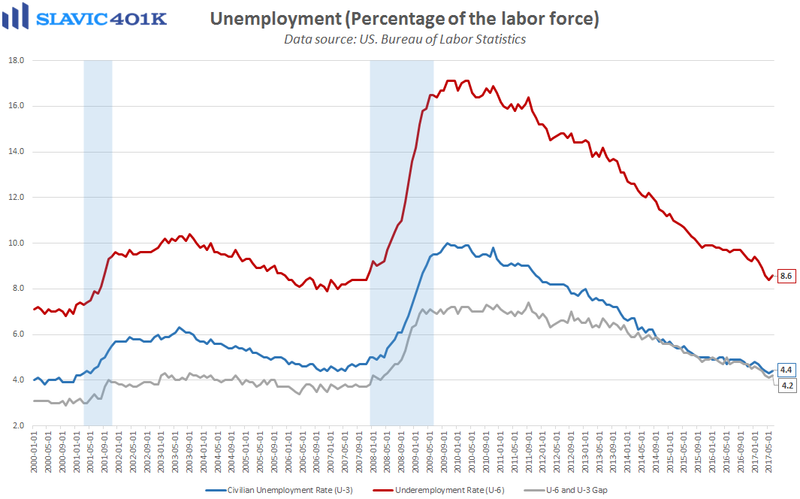 As for joblessness in America, the official unemployment rate (U-3) rose to 4.4 percent in June, and the underemployment rate (U-6) lifted to 8.6 percent. Despite the uptick, those are still some of the best levels recorded during the current business cycle and likely just a reflection of more people reentering the workforce due to increased confidence in their employment prospects. 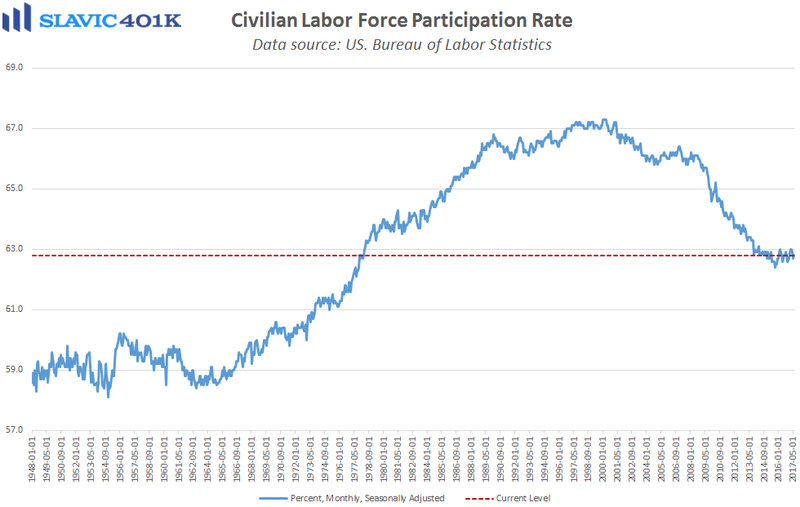 Moreover, the labor force participation rate increased to 62.8 percent in June, the highest print since April and one of the best readings of the past three years. 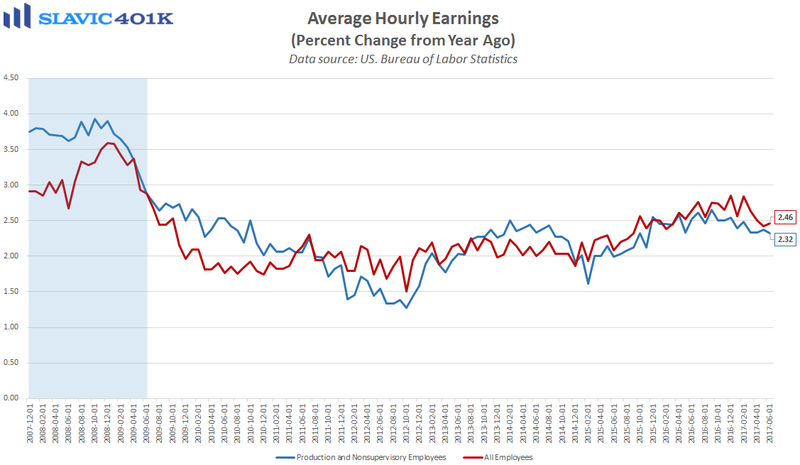 Shifting the focus to wage growth, average hourly earnings rose by 0.2 percent last month, worse than economists’ expected and the May gain was revised slightly lower. Retail trade added 8,100 jobs in June, the first monthly increase since January. The number of jobs created in the “healthcare and social assistance” sector last month exceeded the total number of jobs in the entire coal mining industry. The unemployment rate for part-time workers fell to a record low (4.2%). Teen unemployment dropped from 14.3% to 13.3%, the lowest print since 2000. Teen employment growth (+203K) accounted for the bulk of the job growth in June. Black unemployment dropped from 7.5% to 7.1%, the 2nd-lowest print in history. Hispanic unemployment dropped from 5.2% to 4.8%, tied for the lowest ever.